The era of the digital and electronic personal assistant is nigh upon us. Within the next generation, it won’t be out of the ordinary for every household to have an automated personal assistant. The Siri, Alexa, and Google Home assistant of our time will inhabit a robot form in the near future. In fact, the current robot vacuum cleaner craze taking the gadget world by storm is probably the first iteration of single-function robot helpers that will eventually evolve into all-service home helpers. I recently tried out the Roomba 800 series, and decided to test out the differences between the Bobsweep vs Roomba. iRobot is the American manufacturer behind the Roomba. It was founded in 1990 and originally started out designing robots for police, military, and space exploration use. iRobot slowly began to focus on consumer robot vacuum cleaner products. Bobsweep is a Canadian company that was founded in 2010. Due to the sizable funding differences between the parent companies, the Roomba offers more stylized functions and options while the Bobsweep offers more specialized and singular functions. The Bobsweep offers customized cleaning features that do not come standard with a Roomba. For one thing, the Bobsweep has a mopping feature. It also has a feature that allows it to UV sterilize your floors as well. The Bobsweep also has models that are custom designed with HEPA filters to specifically clean up after pet hair and reduce allergen threats. HEPA filters trap very fine particulates of hair and matter. iRobot has the Braava mopping-specific robot. Still, you would need two distinct Roomba models to accomplish what one Bobsweep would do. The Roomba doesn’t have a mopping or UV sterilization function. However, the Bobsweep doesn’t initiate deeply wet mopping activities. You will have to resort to a mop yourself for a deeper clean. The Bobsweep comes with a remote and has no wifi connectivity feature. Additionally, the Bobsweep can clean in a “waffle mode,” grid cleaning pattern. Although extremely functional, the Bobsweep’s waffle mode just doesn’t compete with the Roomba’s autonomous navigation features. The Roomba has multiple series of model units, from the 600s, 900s, and its newest i7+ model. The Roomba 980 has wifi connectivity and a smartphone app that allows you to control it while you are away from home. It also has a sensitive camera that helps it to avoid obstacles. It also has brushless dirt extractors that don’t get tangled up with hair or carpet fibers. 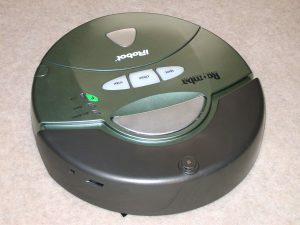 Depending on the model, both Roomba and Bobsweep batteries can run for about an hour to 90 minutes. The Roomba 980 can operate for up to two hours. However, Bobsweep models can take up to six hours to fully recharge. Roomba models can take about two to three full hours to recharge. You are bound to get more activity life out of a Roomba model. The deal breaker, depending on your budget, may be the price. Most Bobsweep models will cost you anywhere from $250 to $290. Until the company begins releasing newer and more expensive models, you will be hard-pressed to find a Bobsweep over $300. The same can’t be said for newer models of Roomba however. The Roomba 980 costs anywhere between $900 and $1,000. As for the earlier models, you might find them in the $260 to $800 price range. The new i7+ Roomba comes with its own dustbin that can be emptied after 50+ cleanings, memorizes its cleaning history to become more cleaning efficient in the future, and is voice activated. The i7+ Roomba costs about $1,100. If you want a basic robot vacuum cleaner and don’t care about hi-tech doo-dads, the Bobsweep is fine for your needs. However, if you are a gadget guru, the newer Roomba models will cost you hundreds of dollars more than you would pay for a Bobsweep. Is It Time to Move to a Smaller Home? Look, why would you pay a thousand dollars for a robot to clean your floor when you can just do it yourself?